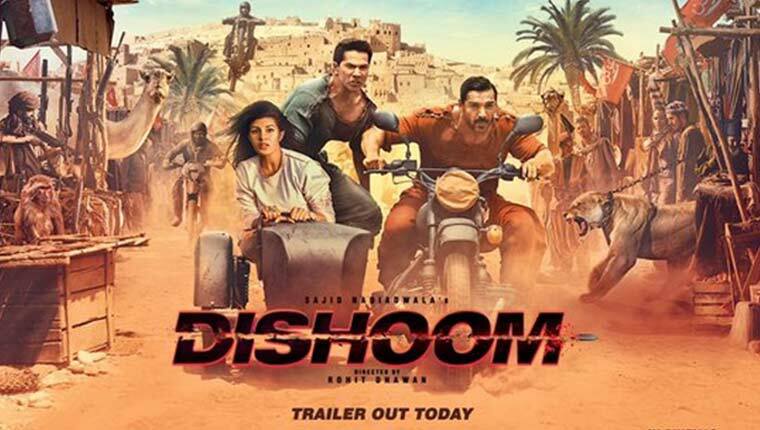 Dishoom Movie Offical Trailer HD Video Starring John, Varun Dhawan, Jacqueline: Everyone was eagerly waiting for this June 1st to see the Rohit Dhawan’s upcoming film trailer called “Dhishoom.” The Trailer has officially launched on the YouTube Channel of Eros Now. John Abraham, Varun Dhawan, and John Abraham are acted as the main lead role in this movie and also they planned to promote this movie as a unique way. The Director and Varun’s brother is Rohit Dhawan. This Film will hit the theaters on July 29, 2016. And the trailer of this film was released on YouTube Today, June 1, 2016. You can watch the trailer of this film here below to scroll down. Producer Sajid Nadiadwala said that the trailer of this movie would be a big treat on the silver screens. Varun Dhawan’s brother is back in the director’s chair after a long time. He worked very hard and gave his beat to make this film good and interesting for the viewers. John will be issued after a long time on the screens. And it would be good to see whether this movie could create a buzz or not? So get ready to see the action pack drama on July 29, 2016.